We all know how vital it is to have a presence on social media, both for businesses and for people wishing to be recognized as influencers. But it can be challenging to keep an active social presence without it taking over a sizeable percentage of your time and attention. Customers expect the firms they deal with to be active online now. Indeed it is often seen as an essential trust metric. The various social networks have different peak times when their users are most active. If you want to engage with as many of your audience as possible, you need to make your posts at these peak times. Similarly, if you work with influencers, you would expect them to make posts at times of peak interest. CoSchedule collated 23 studies on the best times to post on social media. They conclude that while each of the social networks has peak posting times, they vary between the networks. Some of them are most popular during business work hours, but others are most used outside typical working times. Indeed, they found that one of the best times to post on Instagram is at 2a.m. It would be near impossible for a business, or indeed an influencer, to make all of their posts “live.” It would be a highly inefficient use of their time and could easily consume a social media manager’s life. As a result, software providers have come up with solutions to make social media posting manageable. You can design and bulk schedule multiple posts at once. You can do this at a time that suits you, and then use your tool of choice to deliver your posts at the best times. With a social media scheduling tool, you can operate your social account efficiently. They also give you time to create and push more content. Your audience will come to expect posts at a specific time, and your post scheduler makes it more likely that you can make that happen. 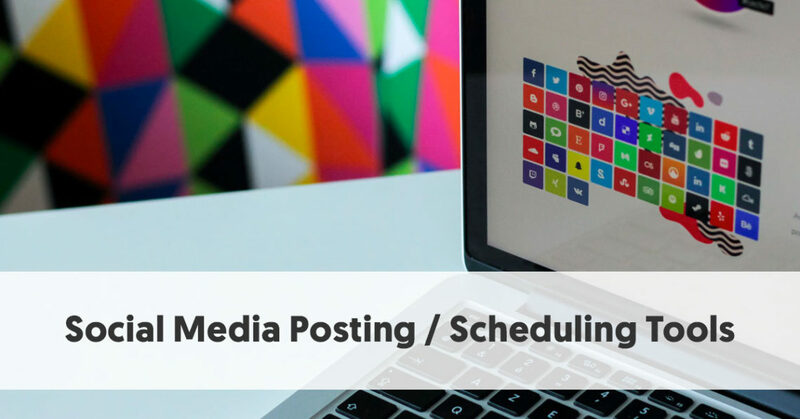 In this post, we have taken a look at a few of the better known social media posting/scheduling tools. Hootsuite allows you to schedule posts to publish at your preferred time in the future. Depending on the plan you choose, you can post to a wide range of social accounts. You can both create posts yourself for future (or indeed current) publishing, or you can select existing posts to post in the future. Hootsuite supports a wide range of platforms, including personal accounts, business pages, and other types of social activity. It does offer a free plan which limits you to scheduling 30 messages across three social profiles. The $30 / month Professional plan is more usable, allowing you unlimited scheduling across 10 social profiles. At this level, you can set up bulk scheduling as well. If you have particularly serious social media scheduling needs, there are also a $129 / month Professional plan and a $599 Business plan, each adding additional features. Buffer operates a freemium model, where you can schedule 10 social updates for free, or with a paid plan you can undertake unlimited scheduling. This gives ample opportunity for a beginner to learn whether social media automation is likely to be of value to them. As its name indicates, Buffer allows you to build up a selection of relevant posts you want to share, which can then schedule to go out at more suitable, appropriate times for your audience. It allows you to customize your messages for each social network. The Buffer mobile app and the web browser extension make it easy to add webpage links, titles and images quickly to your Buffer schedule. It suggests the most suitable times for you to post to each of your networks. Buffer also provides analytics showing how successful your posts were. 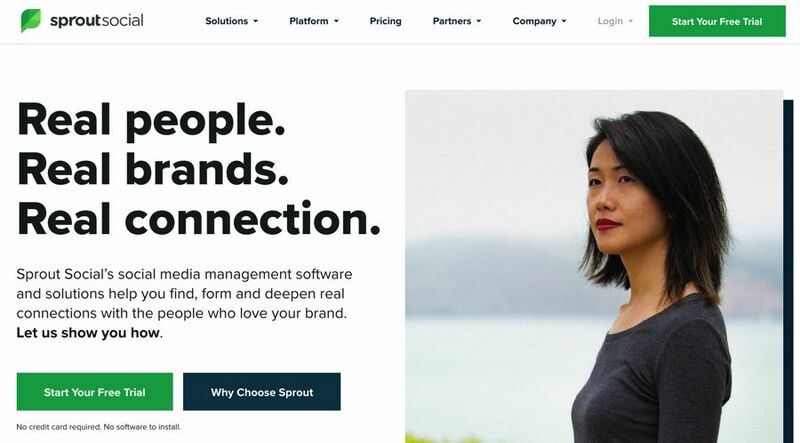 Sprout Social is an all-in-one social media posting/scheduling tool. It allows you to both schedule and post across multiple networks. Marketing teams can use it for collaboration, with user-level permissions providing specific access to marketing managers, writers and everyone in between to contribute to a social media calendar. Sprout Social's calendar feature provides a team with a bird’s eye view of what’s being published and promoted on a daily basis. The package also includes a variety of social media analytics so you can see how well different pieces of content perform. Plans range from $99 to $249 per month, after a free 30-day trial. 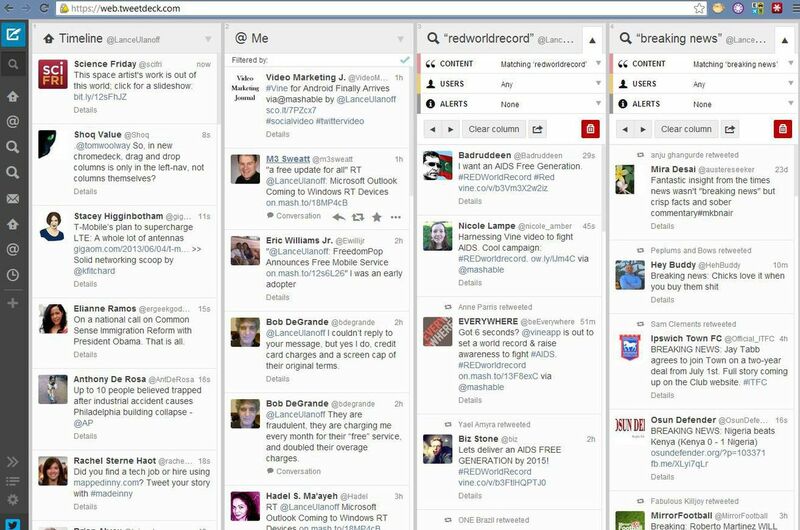 If your only social scheduling needs are for Twitter, then TweetDeck could be ideal for you – particularly as it is free. It allows you to schedule tweets across multiple Twitter accounts. Twitter clearly saw the merits in TweetDeck, as it bought it in 2011. It includes a comprehensive dashboard allowing you to see the tweets in an account's Home feed, your Notifications, Messages, Activity, and Mentions. These change in real time. You can also add columns showing other items, such as Lists, Collections, Likes, Followers, Scheduled Posts, and more. You can make alterations to a scheduled Tweet before it’s published. You can also quickly add images and GIFs to your messages. With SocialOomph you can manage your Twitter accounts for free. This includes scheduling your tweets, tracking keywords, saving and reusing drafts and more. You can add and manage up to five Twitter accounts (unlimited with the paid plan). If you sign up for a Professional account ($17.97 every two weeks), you gain similar features for Facebook, Pinterest, LinkedIn, and Plurk. You also gain the ability to tweet via email and schedule and post blog posts and pages. With the paid plan you can manage all of your tweets (for all of your Twitter accounts) from oneTweetCOCKPIT. This allows you to integrate your timelines and pull in additional tweets that contain specific keywords regardless of whether you follow the tweeter or not. One unusual feature available to users of SocialOomph Professional is self-destructing (time-limited) updates for Facebook and Twitter. These allow you to post updates to Twitter and Facebook that will automatically be deleted from your Twitter account / Facebook feed after a period of time that you select. You can also set up recurring updates, which publish at regular intervals (hours, days, or weeks). You can provide alternative text options so that each post is not identical. MeetEdgar offers most of the usual tools allowing you to schedule content across a range of platforms, including Twitter, Facebook, and LinkedIn. They expect to add Instagram and Pinterest soon. Technically the tool is called Edgar – and the webpage/app is where you “meet” Edgar. You can use it to queue as much as your content as possible with minimal involvement on your part. You can create multiple categories for different types of content, such as blog posts, promotional materials, quotes, and questions. You use the social media calendar to add post categories at set times you want them to go out. It makes reposting evergreen content particularly easy. Edgar recycles your updates over time, so your posts don’t go to waste after their initial publishing. As Edgar automatically re-shares your content over time, it becomes visible to more people and different audiences, without you doing any extra work. MeetEdgar offers a single clear pricing plan - $49 per month, with discounts to military and non-profit users. CoSchedule provides a way for you to schedule and organize your marketing. For a solopreneur or influencer, this may just involve coordinating your blog and social posts. If you are a business, you may have other marketing activities that need to be centrally organized. It even allows agencies to organize all of their projects for every client. Social media scheduling, therefore, is just one part of CoSchedule’s offering. Plans start at $60 per month. This gives you one integrated calendar, with blog and marketing projects, and all-in-one social promotion. You also receive email marketing integrations and business analytics. The more expensive Professional and Enterprise plans add additional features, mainly related to other types of marketing campaign activities. You can efficiently manage and publish all your blog content and social promotion in one place. You can create a standalone social campaign or add a social campaign to any project. Your promotion can live in the same area as your planning, so your whole team is on the same wavelength. You can easily;y schedule posts to Facebook, Twitter, LinkedIn, Instagram, and Pinterest. AgoraPulse provides an affordable social media management tool for teams and agencies. It offers four plans from $39 per month aimed at Solos, though to a $239 Enterprise plan. The main difference between each option is the number of social profiles and users catered for, although there are also differences relating to data retention and ad comment monitoring. You can use AgoraPulse to publish, engage, listen, report, and collaborate with your social networks. It supports Facebook, Twitter, Instagram, LinkedIn, Google +, and YouTube. You can centrally post to all of your social accounts, with a queue or schedule ensuring your content is delivered at the best times. It allows you to re-queue or reschedule evergreen posts. You can also tweak each post to take advantage of features specific to each social network. 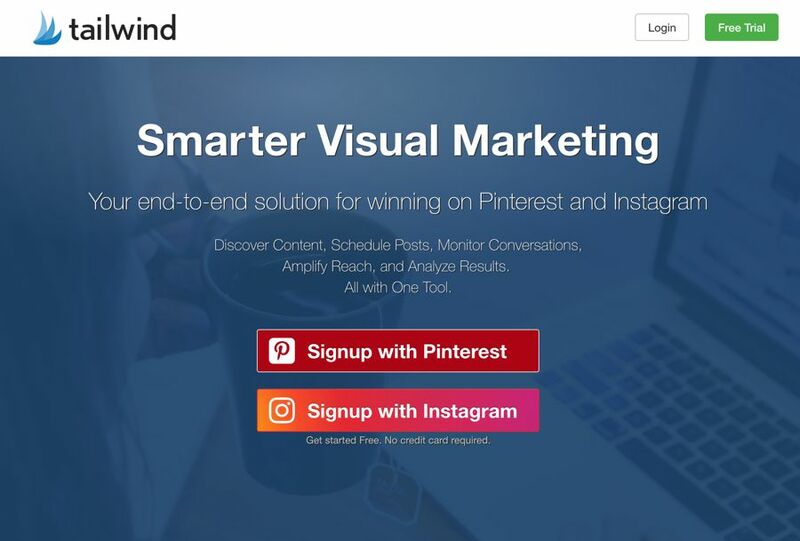 Tailwind’s focus on assisting you with your visual marketing. It describes itself as being “your end-to-end solution for winning on Pinterest and Instagram.” It is an all-in-one tool that allows you to discover content, schedule posts, monitor conversations, amplify reach, and analyze results. 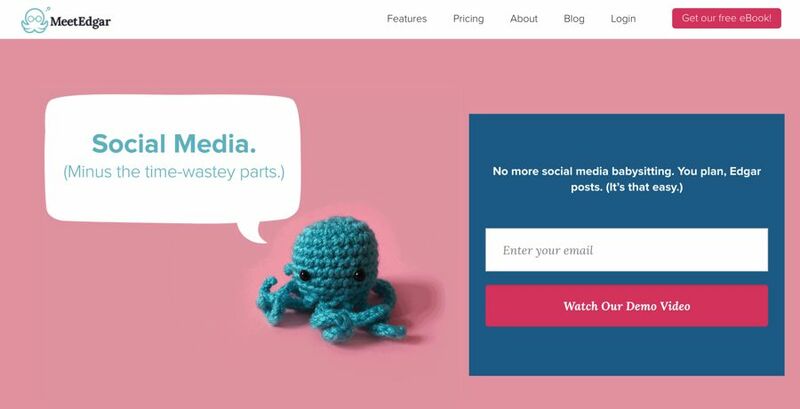 It features drag-and-drop functionality that makes it easy for marketers to upload, tag and publish their Pinterest and Instagram posts in bulk. Users can shuffle their post queue, to ensure that they keep variety in their posts. You can also use Tailwind to automatically recommend the times for you to pin / post your content. Tailwind bases these suggestions on when your audience is most active on the relevant platform. Tailwind offers three very different pricing plans. Bloggers and small businesses with fewer than 25 employees can use their Plus plan at $9.99 per account per month. Larger brands need to jump to the higher-specced Professional plan at $799.99 per month. There is also a plan for Enterprises. Everypost is perfect for sharing visual content across Facebook, Twitter, Google+, LinkedIn, Pinterest and Tumblr. You can schedule posts to go out at times most convenient to you. You can publish to both personal profiles and company pages on iOS and Android devices as well as Everypost’s website platform. Everypost helps you to mix your post types, to ensure you post a balanced mix of industry news, trending topics, and promotional content. It provides you with multiple feeds to assist with content curation. Everrypost has a range of plans, from a “Pay with a Tweet” Personal Plan, up to a $99.99 / month Team plan, depending on your requirements. 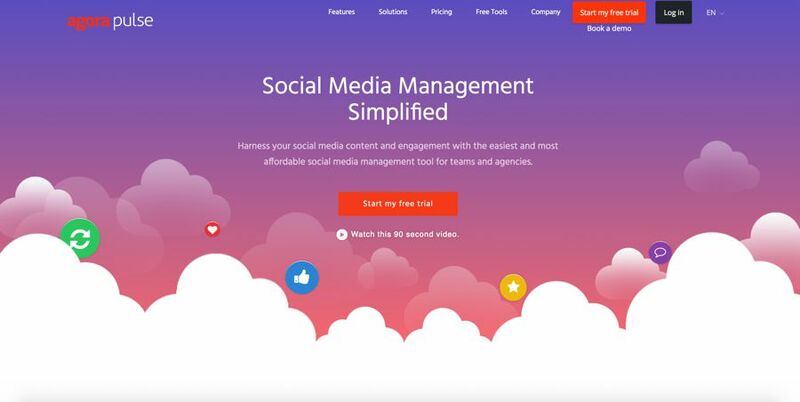 Sendible describes itself as “The #1 Social Media Management Tool for Agencies”. While it lists the $199 Medium Plan – “For Growing Agencies” as its most popular plan, it does cater for other organizations, with a $29 Micro plan for solopreneurs and a $99/month Small plan for small businesses, along with a $299/month Large plan, for large teams. You can connect to just about any social network, as well as post directly to your WordPress, Medium, Tumblr or Blogger blog. You can use Sendible’s geo-targeting features to reach specific segments of your audience. Sendible helps you upload videos to Twitter, Facebook, and YouTube. Sendible features an integrated dashboard and tools relating to publishing, collaboration, analytics, CRM, listening, and mobile. In the area of publishing, it allows you to plan, schedule and publish posts, images, and videos to multiple social networks simultaneously using their powerful compose box. You can schedule social media posts, images and videos individually or in bulk as far in advance as you need. Sendible allows you to set your best-performing content on repeat to keep your social media profiles active. You visualize your content on a shared publishing calendar. One useful feature is a tie-in with Canva to help you design better-performing visual content.